Preheat oven to 375. Crack eggs into a bowl and whisk until scrambled. Add garlic powder, salt and pepper and whisk again, set aside. 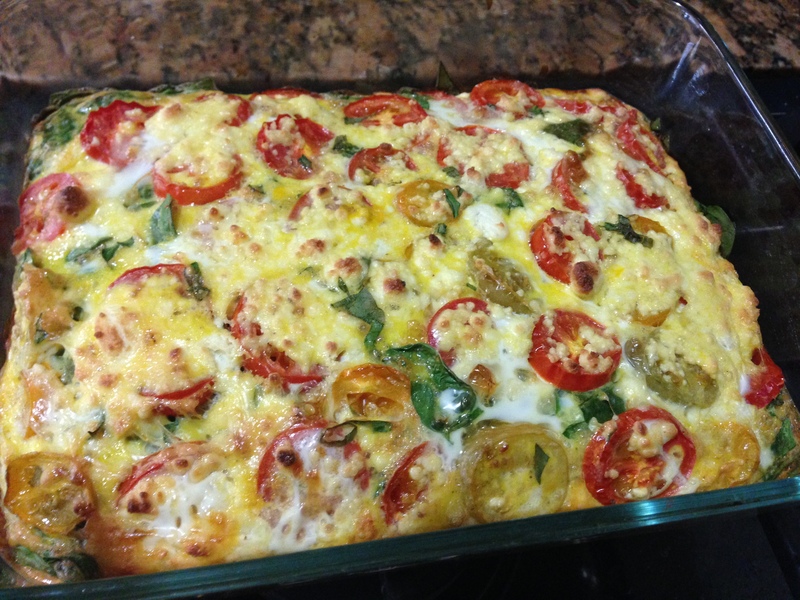 In a small baking dish or pyrex, oil the sides then add the spinach (chopped) and diced tomatoes. Spread them out evenly then cover in a layer of cheese. Pour egg mixture over the cheese then sprinkle whatever's left of the cheese on top. Bake for approximately 25 minutes or until the top is barely golden and the eggs are completely set.